Vampire's Kiss is a popular name for Halloween cocktails which often involve a dripping blood effect. This one follows suit and it's a tasty mix to boot. 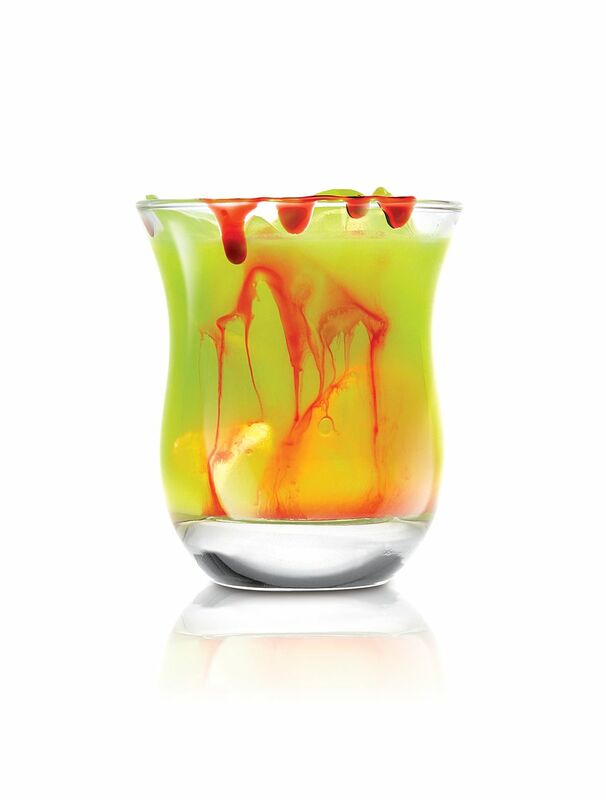 The drink's base includes Midori—whose green glow is another favorite for creepy libations—and Skyy's blood orange-flavored vodka. Add pineapple juice and a bit of cream to make it resemble a ​​colada and you have a great drink that's spooky enough for your next Halloween bash. The "blood" is created with a drizzle of grenadine, which makes for a fun effect and adds a touch of sweetness as well. Pour the Midori, vodka, pineapple juice, and cream into a cocktail shaker filled with ice. Drizzle the grenadine on top to create a bleeding effect.